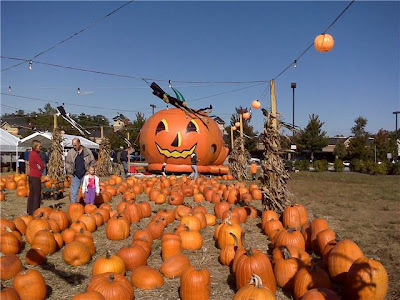 It was the cutest side of the road pumpkin patch I've seen! 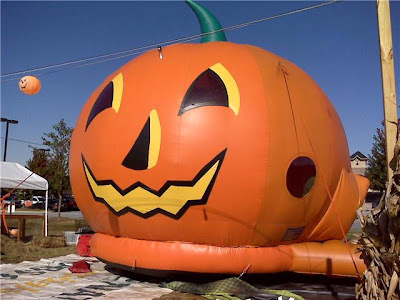 This friendly inflatable jack-o-lantern was a moonbounce! They also had a bunny petting zoo and pony rides. 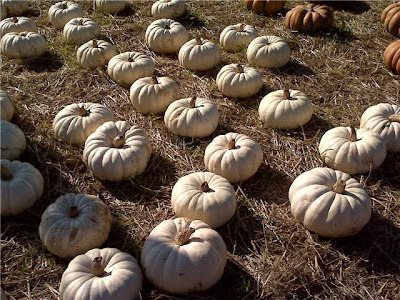 And of course, a beautiful selection of pumpkins, including some really large ones, and the elegant white ones too. The pumpkins inspired me. I made one of my favorite seasonal meals this evening including pumpkin stuffed shells, and pumpkin spice chocolate chip bars. mmm mmm mmm!